If you time this right, everything will come out together! Start the water boiling for the pasta. 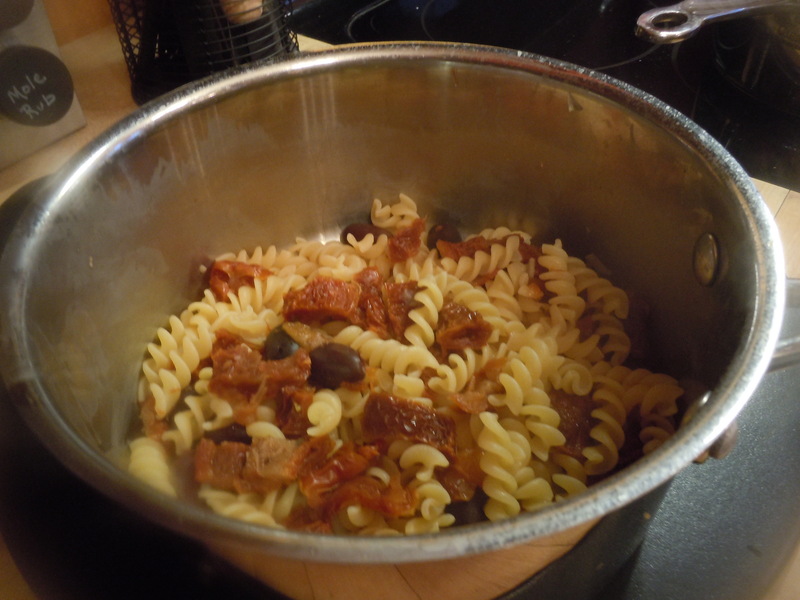 When it boils, add the pasta, olives, and the sundried tomatoes and cook together until the tomatoes are softened and the pasta is al dente. Drain and combine with the cooked veggies. While the water boils, heat the olive oil. Sauté the garlic and the pine nuts until the nuts begin to color. 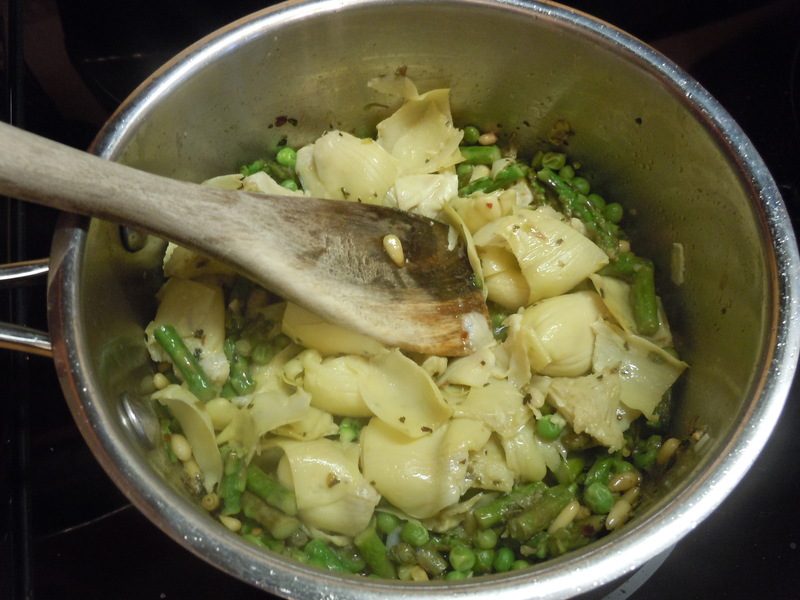 Immediately add the asparagus tips and the peas and stir until both are crisp-tender. Stir in the artichoke hearts, basil, red pepper and capers. If the pasta is not done by now, keep hot. 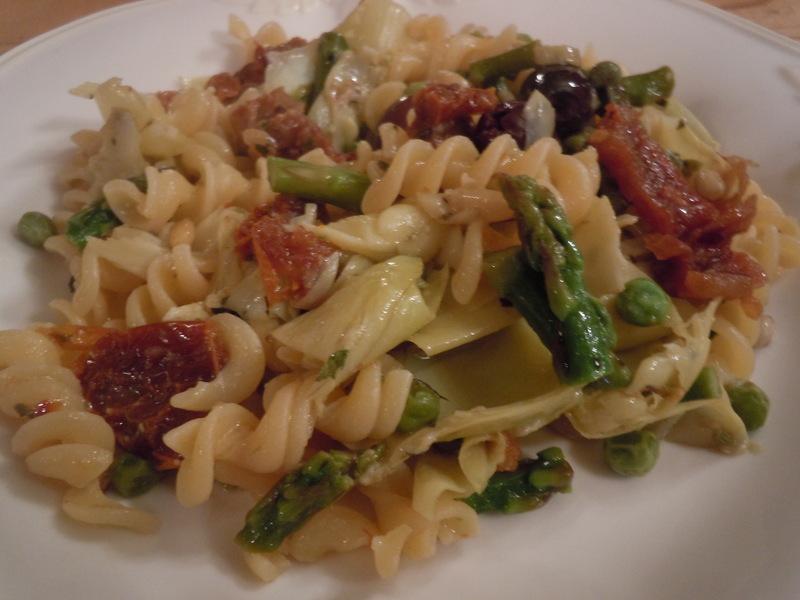 Combine the pasta/tomatoes/olives with the sautéed vegetables. Serve at once. I’m always looking for asparagus recipes. This looks delicious! Trying to resist buying it while I wait for the first crop in the garden! Nooooo! Don’t wait. It crops for twenty years. It’s also dead easy growing. If you’ve the space don’t wait!